This is a sponsored post for SheSpeaks/Align at Sam’s Club. A couple of weeks ago I wrote a post about why I decided to start taking probiotics. I mentioned that I’d be back in a couple weeks to let you all know how it’s going. It’s hard to believe I’ve already been taking them for 2 weeks but I have to say the changes have already been very noticeable. If you recall, a couple of the main reasons I decided to start taking probiotics were that I wanted to feel better and hopefully spend less time in the bathroom and more time enjoying life. Thankfully, both of those have come true. I had been told that once you start taking probiotics you will notice the effects rather quickly. I take them first thing after waking up so I don’t forget and also so that the probiotics can pass through my system with less stomach acid and more likelihood of them all surviving. I know this is likely a bit TMI but I want to be totally real in my experience. The first day I was kind of worried because I was having a lot of gas. Luckily, it was more burps than the other end but I was so afraid that it was going to make my digestive issues worse rather than better. However, by the second day, all the extra gas had mostly subsided and I chalked it up to the probiotics starting to do their magic. 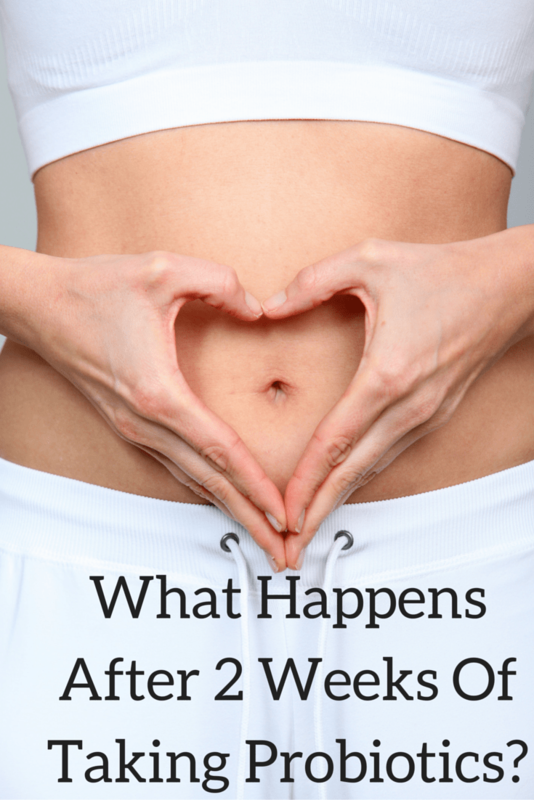 On the second day I also really started noticing changes in how I was feeling and my digestive habits. Again, this may be TMI, but while I’m generally regular with my bowel movements, I usually only experienced them once, maybe twice, a day. While on the probiotics it’s been 3 to 4, which I don’t consider a bad thing as it’s getting rid of unneeded stuff from my body. I also felt less bloated and ate some of my trigger foods for trouble, like raw onion and dairy, without any issue. As a matter of fact, I haven’t had any “tummy troubles” since starting the probiotics. I consider this a big win since I was used to having 2 or more issues a week. This has been wonderful to me because it means I’ve been able to be more confident in multiple aspects of my life. I’ve been able to be more confident about going out and actually eating the foods I’ve wanted instead of being afraid of how my body will react. I’m sure I’ll still have an issue now and then but it is such a weight off my shoulders now that I can feel more confident in myself and live life how I really want. Plus, it’s been quite nice to be able to sleep through the night instead of waking up at 3 am now and then and spending a couple of hours going back and forth to the bathroom. 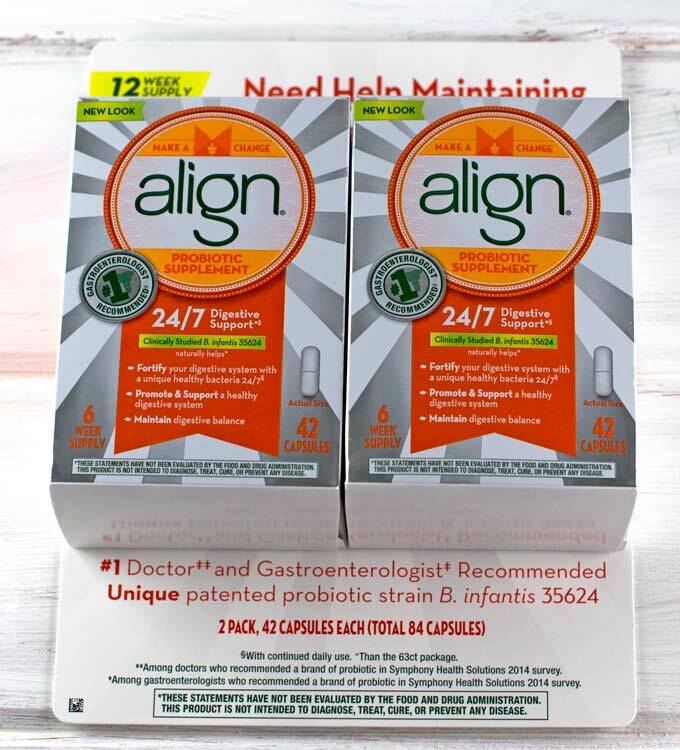 I’m definitely going to keep taking my Align probiotics every day and am so glad I can get a 3 months supply at a great price at Sam’s Club. Have you ever tried probiotics? If so, did you notice a positive change in your life?